This is a Horus Heresy novel that I’ve had on my shelf for a very long time now, back from when I had just gotten into the series and was excited to find out more about it. I honestly don’t know why, but the Blood Angels kinda fascinate me as a space marine chapter – I don’t own an army of them, and have no intention of doing so, but I’m still weirdly drawn to them. Space Marine Legions all seem to have their counterparts between loyalist and traitor, but the Blood Angels, while they’re more commonly compared with the World Eaters for their assault-focus and brutal efficiency in close combat, are also similar in so many ways to the Emperor’s Children in their artistry. I suppose they don’t pursue things to absolute perfection, but there is a strong link between the two… and I do rather enjoy the Emperor’s Children in a lot of ways! At any rate, Fear to Tread is the 21st novel in the Horus Heresy series, and is the first to truly follow the Blood Angels to the exclusion of all other Legions. 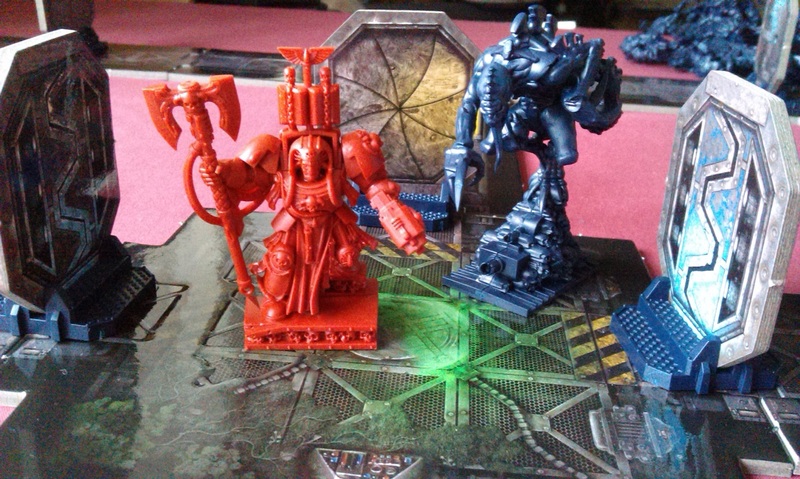 While Sanguinius did pop up all the way back in Horus Rising, he’s here very much at the centre of things. 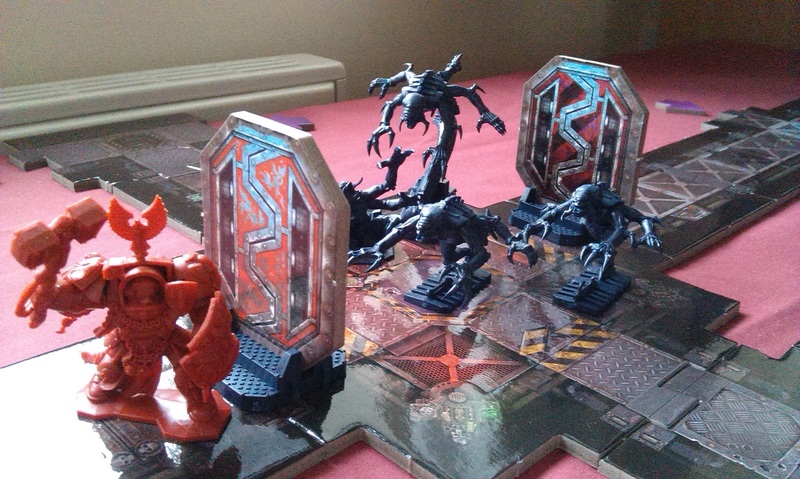 We follow the Blood Angels as they battle the weird alien menace known as the Nephilim, before Horus then sends the legion to the Signus system with the report that there have been Nephilim sighted there. Horus has also learnt of Sanguinius’ dark secret, that of the Red Thirst, and hints there may be the answer to that problem held on the planet Signus Prime. 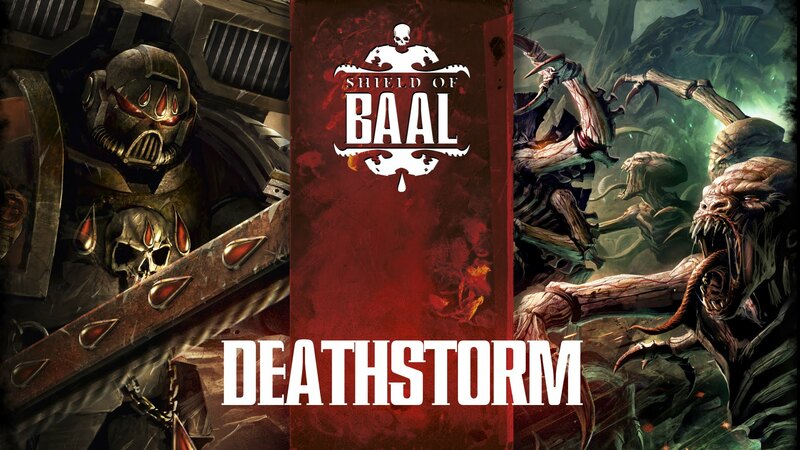 The Blood Angels travel there, but instead find that the system has been truly taken over by the forces of Chaos: there are droves of daemonettes along with bloodletters under the leadership of the bloodthirster, Ka’Bandha. 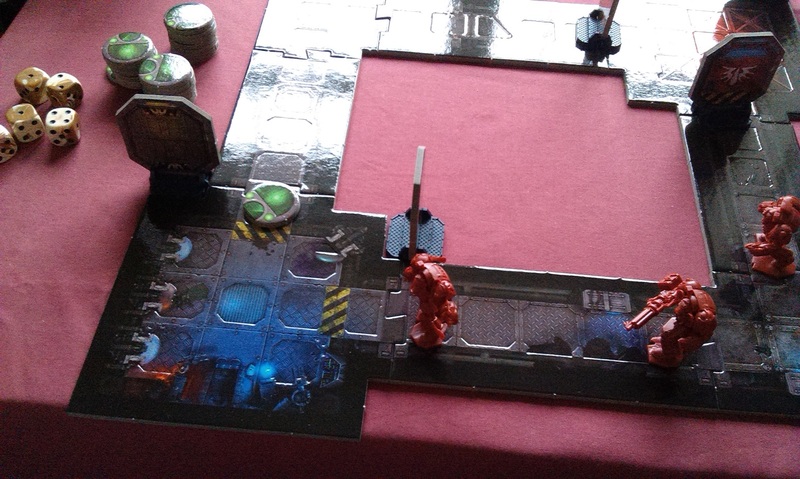 The Blood Angels are joined on this expedition by a small coterie of Word Bearers sent by Horus, and another small band of Space Wolves sent directly from Malcador the Sigillite. 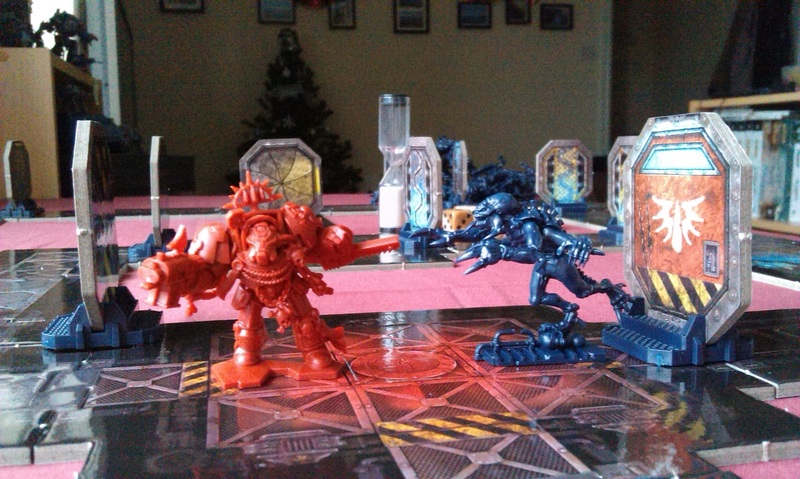 As it turns out, Malcador has sent the Wolves out to all Legions, as he suspects that more may have turned from the Emperor in the manner of Horus and Magnus. The war does not go well, as Sanguinius is seemingly defeated in single combat by the bloodthirster, prompting a shared madness of the Red Thirst to break out among his sons. The fighting is particularly brutal, especially among Amit and the Fifth Company (later the Flesh Tearers), who actually kill the Space Wolves while in the grip of this madness. Sanguinius is revived when a band of former librarians goes against the Edict of Nikea to bring him back psychically, and he manages to defeat the daemons with the help of the apothecary Meros, who sacrifices himself to a Chaos ragefire that had been intended to consume Sanguinius himself. There are quite a few nods to other Horus Heresy novels, particularly the opening trilogy (the lone survivor from the planet Murder, brother Targa, was originally part of the ragefire that created the Red Angel, a daemon later presented to Horus by Erebus). Obviously, the use of the Space Wolves as the Emperor’s executioners also harkens back to A Thousand Sons, and the novel ends with Sanguinius arriving at Ultramar, which leads into the plans of Guilliman to set Sanguinius up as the head of the Imperium Secundus. It’s handy reading the novels in publication order, I feel, as things like this are a nice way of tying up the narrative. Ultimately, I feel that not a lot happened in this book, and that it was essentially filler for what is already becoming a massive series. The whole point of the book is to test the Blood Angels, and attempt to bring the legion over to Chaos. Horus decides to eliminate Sanguinius lest his brother replace him as Warmaster, but none of that works. Yet the novel plods its way across more than 500 pages to do so. A lot of it just felt like padding, somehow, and I think it could have done with a trim. I also haven’t really been convinced by Horus’ turn from the light of the Emperor in a lot of the novels where he directly appears, but here especially, his readiness to kill his brother seems to come out of nowhere. I think this is made especially glaring in that Horus and Sanguinius appear fighting side-by-side in the prologue; they have a very close relationship anyway, but not enough has been made of the break on Horus’ side, it just seems to be too much of a jolt. I know Horus is meant to be the bad guy, but sometimes (like here) he just comes across as evil for the sake of it. 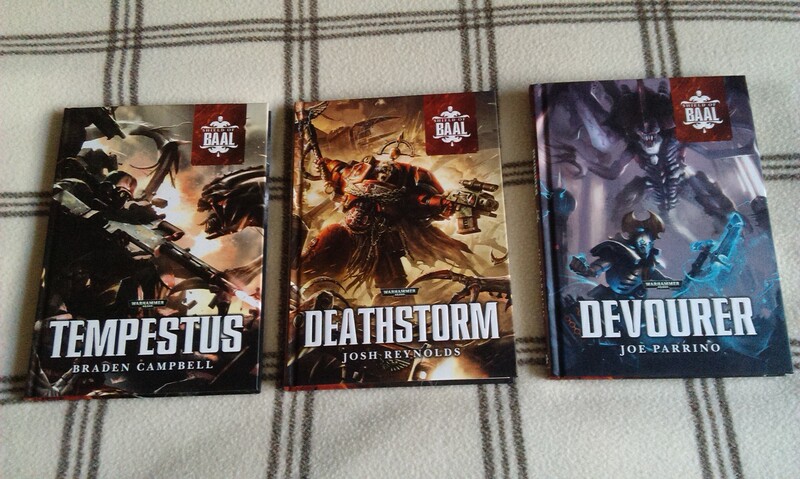 It was good to have the Blood Angels and Sanguinius centre stage, but I do feel that a lot of the middle novels of the series tend to draw things out a bit too much. Well folks, it took me long enough, but I’ve finally made it to the end of this book! 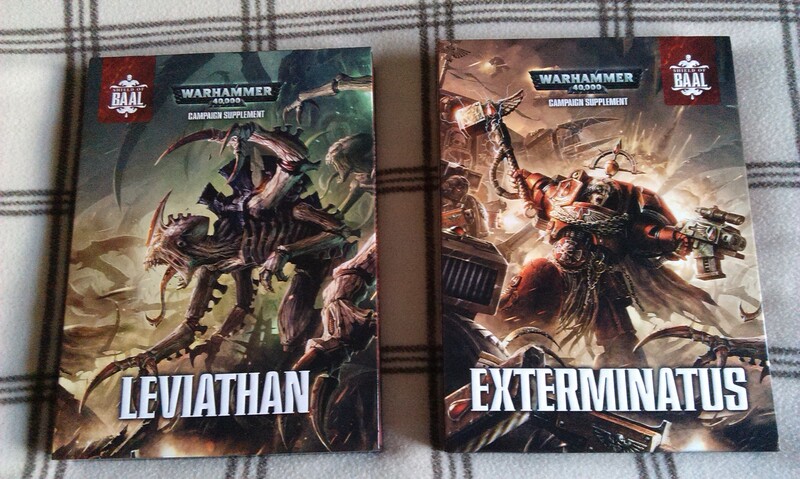 That’s not to say that I wasn’t enjoying my time on the Blood Angels’ homeworld during a Tyranid attack – the book is actually really good, with some tremendous action scenes, as well as being quite thought-provoking. I think the main reason I found this heavy-going at times was just how arduous those action scenes can be. 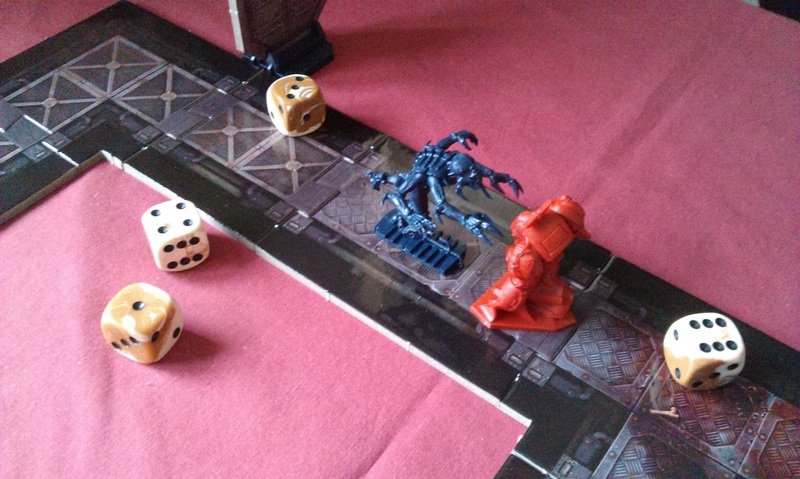 We get about 200 pages of space marines fighting Tyranids, and it did become a bit much after a while. There is enough peppered throughout to keep interest, don’t get me wrong, but I just found it difficult to want to return to that melee day after day. Another reason why I found this to be quite heavy-going is the simple fact that I’m not that big of a Blood Angels fan. For sure, I enjoy the sons of Sanguinius as much as any other casual space marine fan, but I’m not overly interested in them to the exclusion of all else. And I think this is a major point for this book – if you’re a Blood Angels fan, you’ll absolutely love it. There’s nothing but wall-to-wall red armour where everything is named something to do with blood. We get a lot of Commander Dante, and learn what it’s like to be the oldest-living space marine of the Imperium. 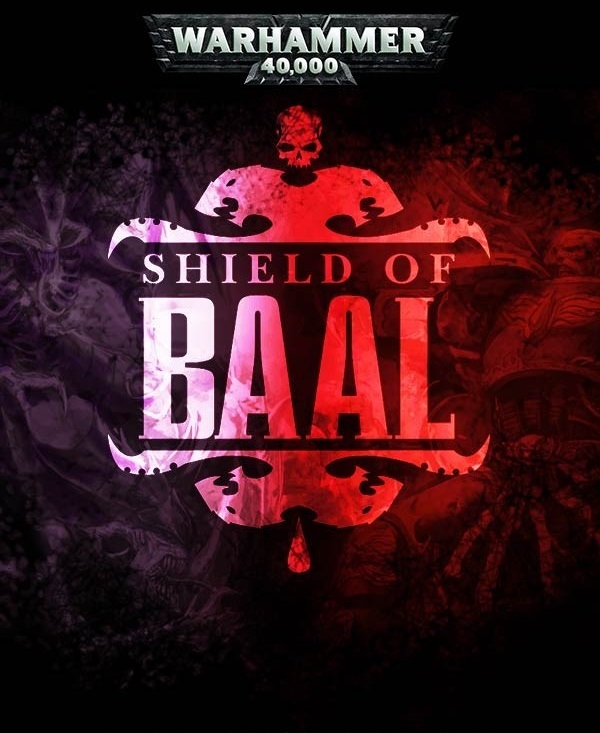 So, the story is basically the attack on Baal from Hive Fleet Leviathan, in what often feels like a follow-up to the Shield of Baal series from 2014. Oddly, though, while it does feel like a follow-up, a lot of what is referenced comes from the campaign books, and not another novel, which just feels a little disjointed to me! Anyway, after a long preamble where the various successor chapters of the Blood Angels gather to accept Dante’s leadership, the Shadow in the Warp descends and the Tyranids begin their attack. After a gruelling battle, where Baal and its moons is basically devastated (well, it’s in the title…) the xenos are beaten back and Guilliman shows up with loads of new Primaris Space Marines. A lot of people have already been talking about how Guilliman saves the day yet again, and have voiced their complaints that the novel falls down because of the over-use of this device. However, I have to say that I don’t really share this view. 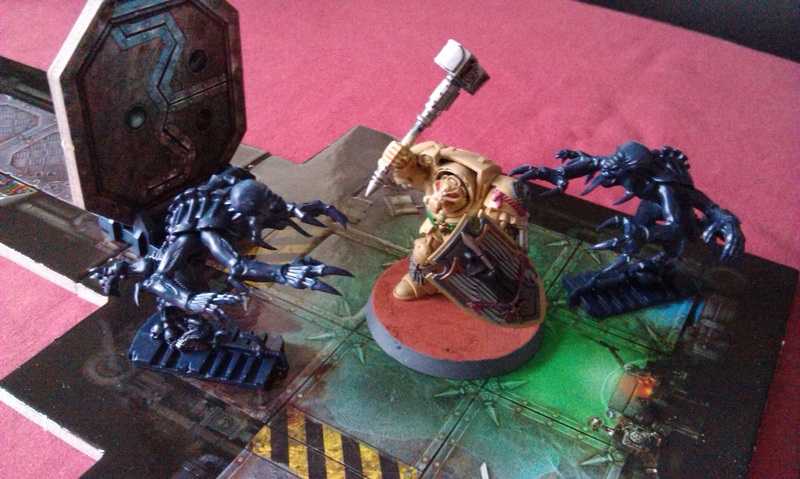 True, the Tyranid attack stops and the Indomitus Crusade shows up, but it doesn’t truly feel like Guilliman actually defeats them. 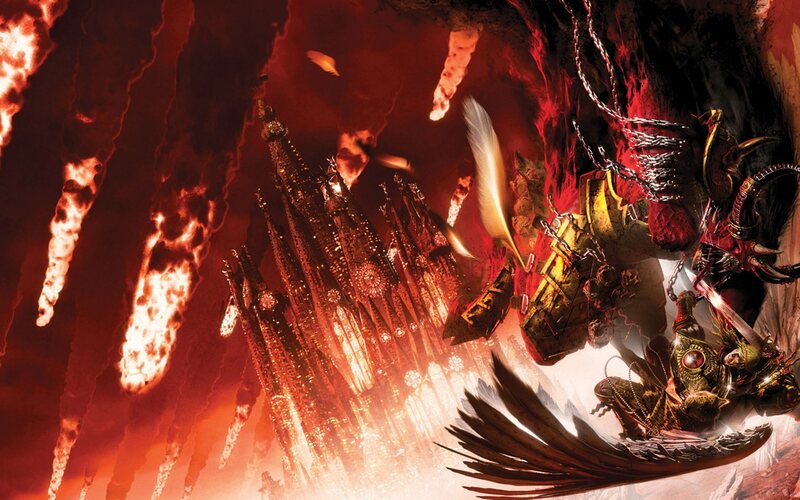 Dante and his combined Blood Angels forces do the vast majority of the fighting, and Guilliman himself actually ascribes the victory to Dante. Instead, Guilliman really only shows up for the clean-up. The main turning point comes when Cadia falls, light-years from Baal, and the Cicatrix Maledictum basically destroys the Hive Mind’s synapse long enough for the Tyranids to actually be beaten back. Leaving entire chapters-worth of Primaris marines behind does feel a bit like a forced ending, of course, as we essentially have the Blood Angels updated for 8th Edition. Now you too can field countless droves of Primaris marines in your Blood Angels army, because Guy Haley told you it’s what happens! Seriously, it’s not the worst way of bringing this development into canon. There is an interesting scene near the end between Dante and Gabriel Seth of the Flesh Tearers, where Seth calls the Primaris replacements for the marines, and their lack of the genetic flaws of the Blood Angels means that, while they may wear the colours, they will never be true sons of Sanguinius. Which is an interesting way of looking at things, to be sure. Dante’s reaction is similarly thought-provoking, as he seems to have a bit of an epiphany whereby his attempts to preserve the Chapter almost cause Baal to be lost to the xenos. 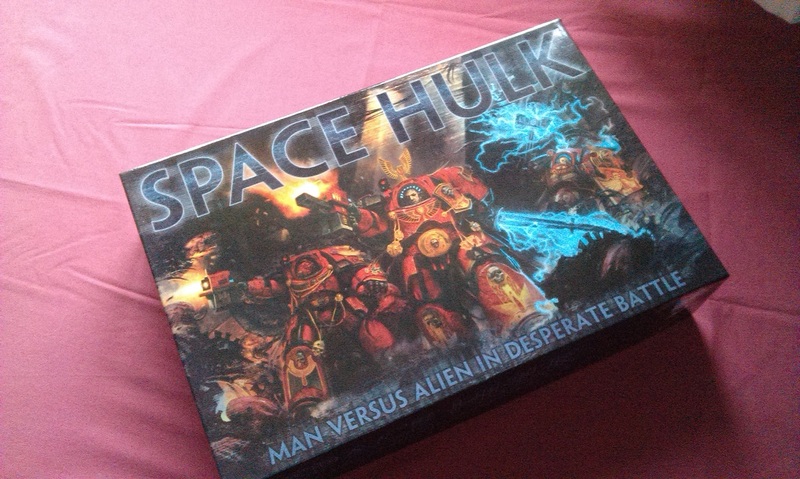 It makes the reader question whether space marines are too caught-up in their own past glories, and whether they really are willing to lay down their lives in service of preserving the Imperium. It’s a subtle point, but I really found it intriguing. Of course, fans have been endlessly discussing the scene between Dante and Seth, and whether there will be a civil war between the old marines and the new. While we’ve been seeing fractures already like this, I don’t think GW is going to go down this route too much, as I can see it causing further problems with the integration of the product line. People already hate them, it seems, so why encourage that divide? Doubtless, it would be interesting, but I don’t foresee anything too much just now. Anyway, overall this was a good book, and fans of the Blood Angels will of course love it more than anyone! 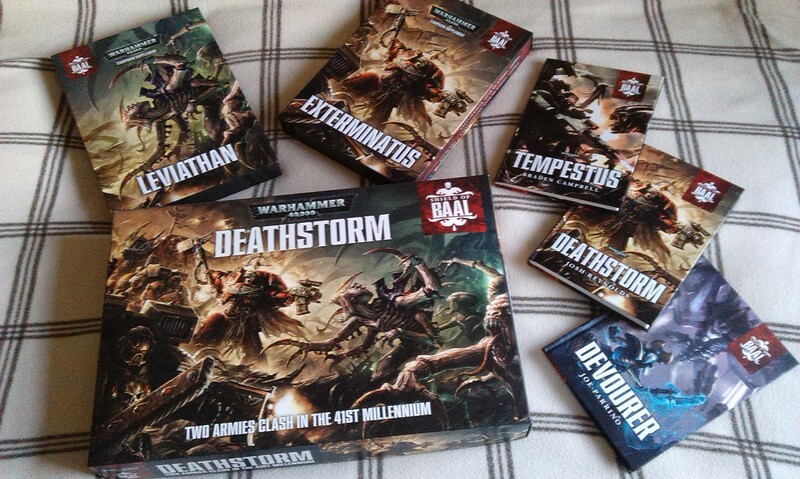 That’s right, it’s more Deathwatch! 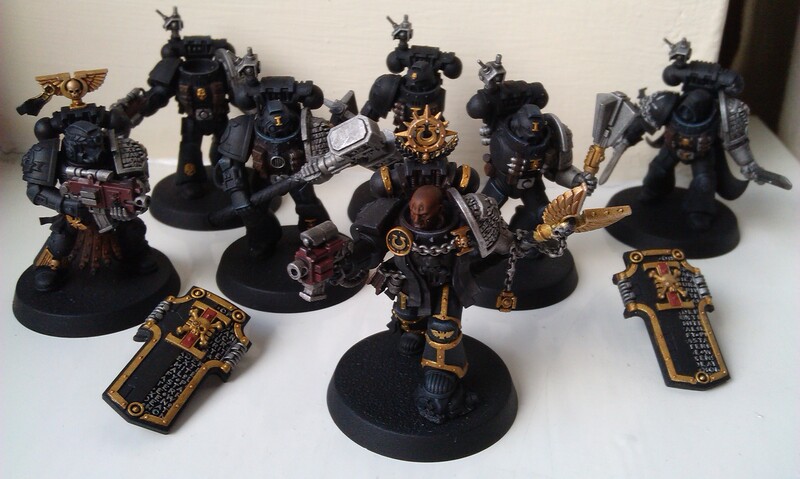 After last week‘s armour business, I’ve now done a lot of the details over the week, starting with the silver arms, but then I’d decided I wanted to just focus on the chaplain out at the front there. I based all of the gold barding and details with Retributor Armour, which I’m not the biggest fan of where my Stormcast Eternals are concerned, but with the black here, I have to say, it looks incredible! The gold has then been shaded with Reikland Fleshshade, and a very light coat – almost an overbrush, if I’m honest – with Auric Armour Gold. I think it look amazing, anyway! Like I said, I was intending to work on just the chaplain model, mainly because I found myself kinda intimidated by the level of detail on these guys, and I was finding it difficult to find a starting place. As it turned out, I’ve had some really bad trouble sleeping this week, so one night I painted all of the gold details on the other six models I’ve somehow chosen to work on (of the ten I currently have built), and have since done all of the silver arms and three guns. There are clearly a lot more details to work my way through, and I have missed a few gold details that will need to be done, but for now, I really love the look of these guys! I’ve also done the leather pouches (and one of the Ultramarine guys has some pteruges hanging at his waist) with Rhinox Hide, Agrax Earthshade, and Doombull Brown. I’ve mainly been following the GW scheme for these guys, anyway, though I’m sure that, as I make my way through the rest of the details, I’ll be doing my own thing on some of them! Returning to the chaplain, I’ve also painted his head with essentially a drybrush of Doombull Brown, focusing it around the face for a lighter colour, and I think the effect really looks great. It still needs some more work, but I like it – in painting the armour, I’d gotten some Eshin Grey on his face, which threw it into a really nice relief that eventually made me want to paint him as a black guy. Aside from the fact I feel there isn’t enough ethnic diversity among GW models, it’s also allowed me to work on my brush control as I drybrushed and overbrushed in a very confined space. Indeed, these Deathwatch marines have been quite the exercise in improving my drybrushing techniques. I’d tried to edge highlight the armour and it didn’t work out on the first couple of miniatures, so I’d used drybrushing there to focus it on the angles, and have basically continued in this vein, trying to really focus my technique and whatnot. While it may or may not be evident from the photo above, I do feel that my technique has improved tremendously, as I’m not just all about trying to get colour onto models anymore, but really taking care over them. 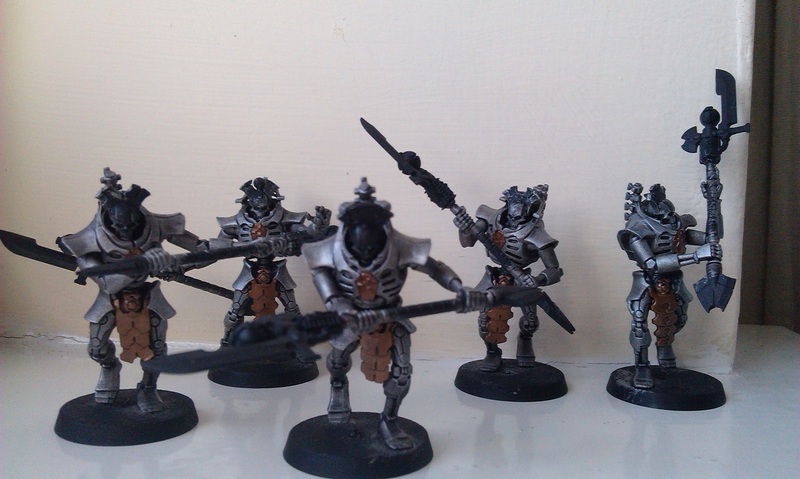 I think the fact that black armour will pretty much show any mistakes I make has a role to play here, also…! So what else has made this an exciting week? I’ve been building more models, first of all getting the rest of the Blood Angels Death Company models finished. In all honesty, if I’d planned it better I would have done these a few weeks ago, and essentially used them to practice painting black armour, but never mind. They look fantastic, and I’m looking forward to getting round to them. The kit is also replete with Blood Angels stuff, as well as some stuff I think I could use on other things, so stay tuned for some kit-bashing to come from this! I mentioned a couple of weeks back that I was going to enter Armies on Parade this year, and will be doing so with my Stormcast Eternals. Well, I thought I’ll do at least a few more miniatures for the board, so have finally built up the Knight Heraldor! 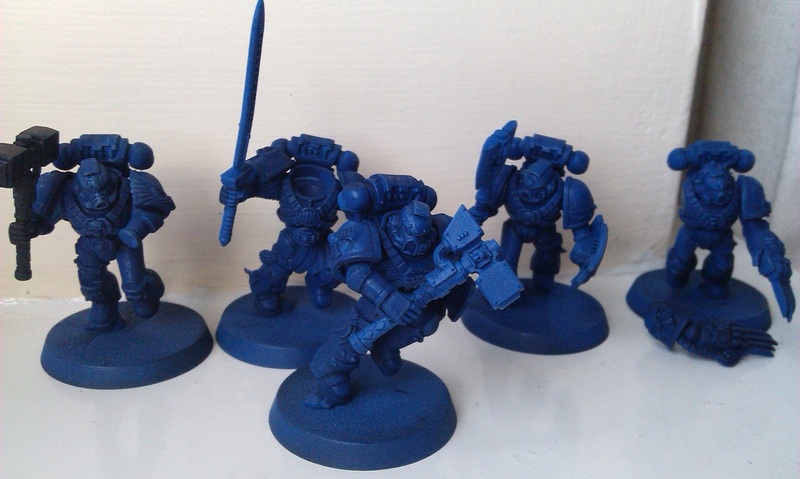 In addition, I had a box of Liberators that I’d weirdly built one of and left the other four, so have gone for the sword-and-shield guys. I’ve already got one built like this, so thought I’d best make a full squad, but I’m not really relishing the idea of painting four more Sigmarite shields, as the raised boss is not my favourite thing to do! Still, they can look really great when they’re finished, so we’ll see. It’s about six weeks until Parade Day, so hopefully I can get these guys done – my Lions of Sigmar scheme is actually pretty straightforward, when it comes down to it, anyway. Finally, I’ve stipped the paint from the three Electro Priests that I started at the beginning of the year. I’d primed three with Corax White, and it really didn’t turn out well for me, going on the models all powdery and stuff. I’d tried to paint them anyway, ignoring the cardinal rule of miniatures painting (making sure the model surface is good enough to paint on), and it was really horrible. After having stripped the Vanguard Veterans last week, I threw these three into dettol, along with one of the Necropolis Knight heads, those models also suffering from a bad undercoat, and this time left them overnight. They’ve turned out quite grey, as if the primer hasn’t quite come off, but the surface is smooth now so I’ve accomplished the objective, I feel! 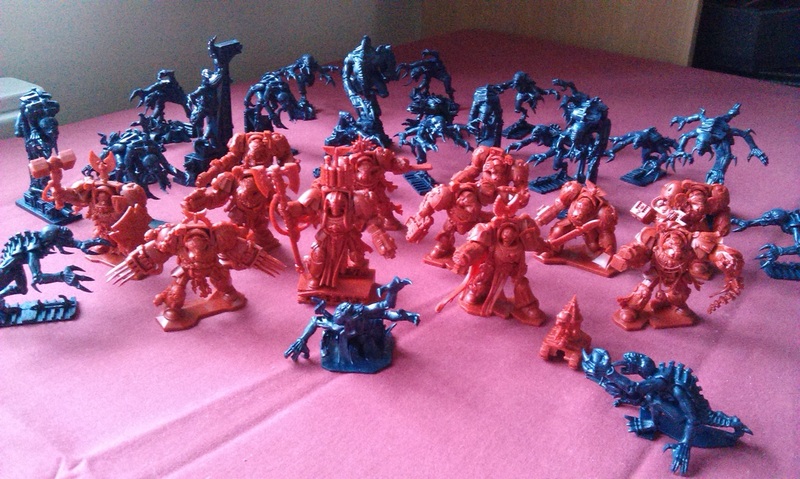 All of the recent builds have been primed this afternoon, so they’re ready for some paint now – again, as mentioned last week, I prime models in my hallway and I think leaving them in the area allows all of the particles in the air to settle on the wet primer, not helping the situation at all. I also mentioned it to the manager at my local GW store, and he suggested holding the can closer to the miniature – I’d been holding it almost two feet away, as I’d heard holding it too close can obscure details etc. So I’ve tried both a closer priming, and moving the models to dry, and I do believe that has done the job for me! Everything I’ve primed now looks pretty great, so that’s going to be really useful in the coming weeks and months as I move on to painting this stuff! 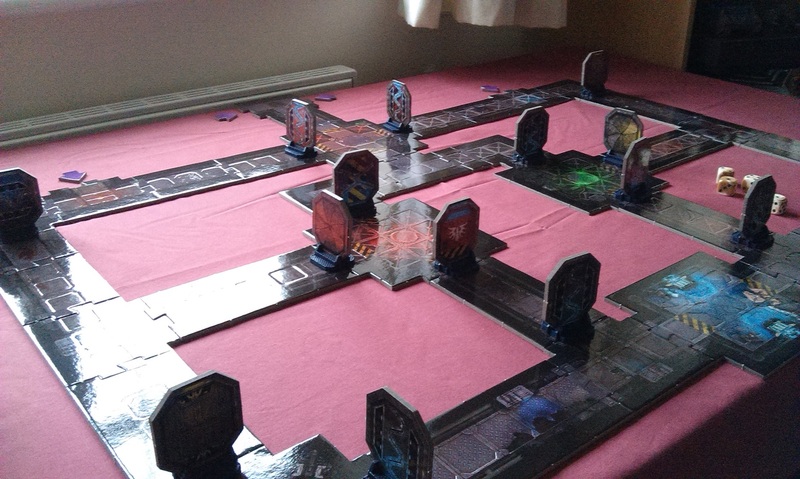 Finally, I’ve spent the afternoon building up more Necron Immortals, while listening to the Tabletop Minions live show that Adam does every other Sunday, and that was really great. If you guys don’t already, I highly recommend checking out that channel and subscribing, as he has a lot of awesome, top-notch content! In fact, in these week’s live show, I even get mentioned! Check it out! 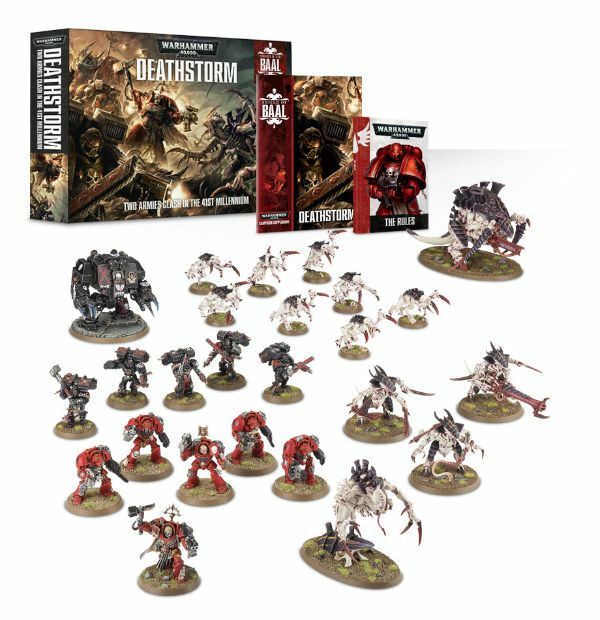 In the coming week, I’m looking to get at least some of these Deathwatch chaps finished, with the chapter insignia and other remaining bits finished, and perhaps get the Stormcast Eternals base-coated, if nothing else. Since I worked out how to use those flat brushes from GW, I’ve been feeling much happier about painting guys in general. 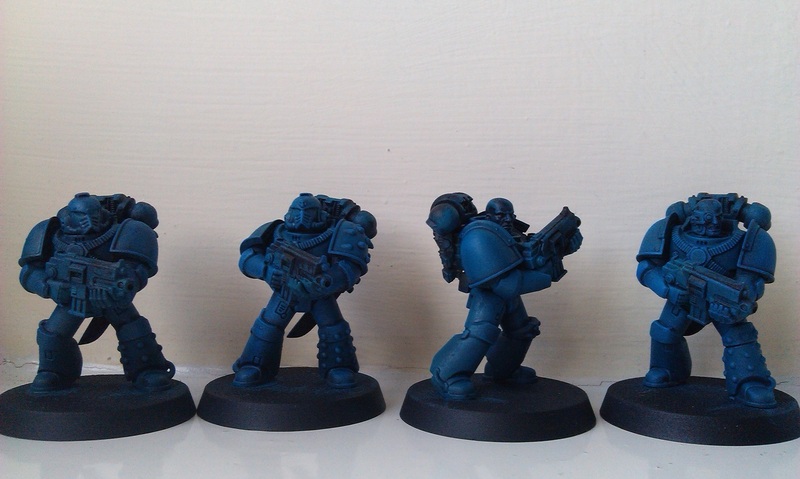 I mean, there can be something quite intimidating about having a lot of guys that you need to paint with one colour but the brushes you have aren’t exactly huge. So that’s cool. I’m going to try to focus like this more in the weeks to come, and see if it helps with getting stuff actually finished. 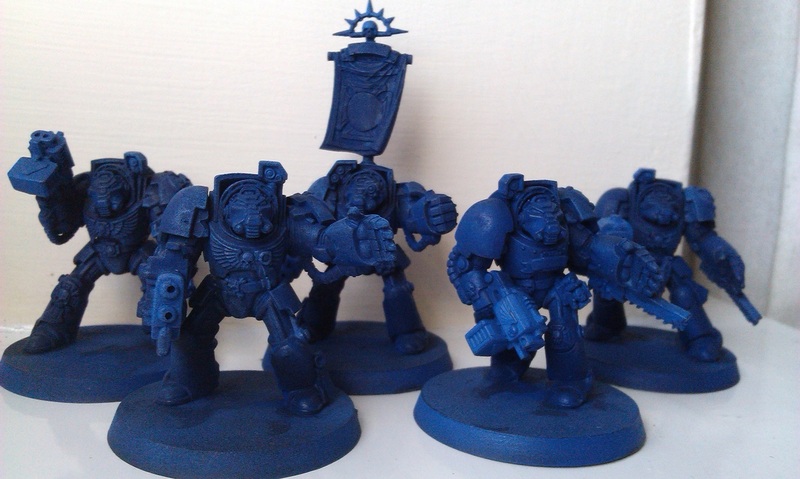 I did have success when I was only working on the small numbers of Alpha Legion marines, but have a lot more stuff built up and primed, so we’re really getting into intimidating-territory now!